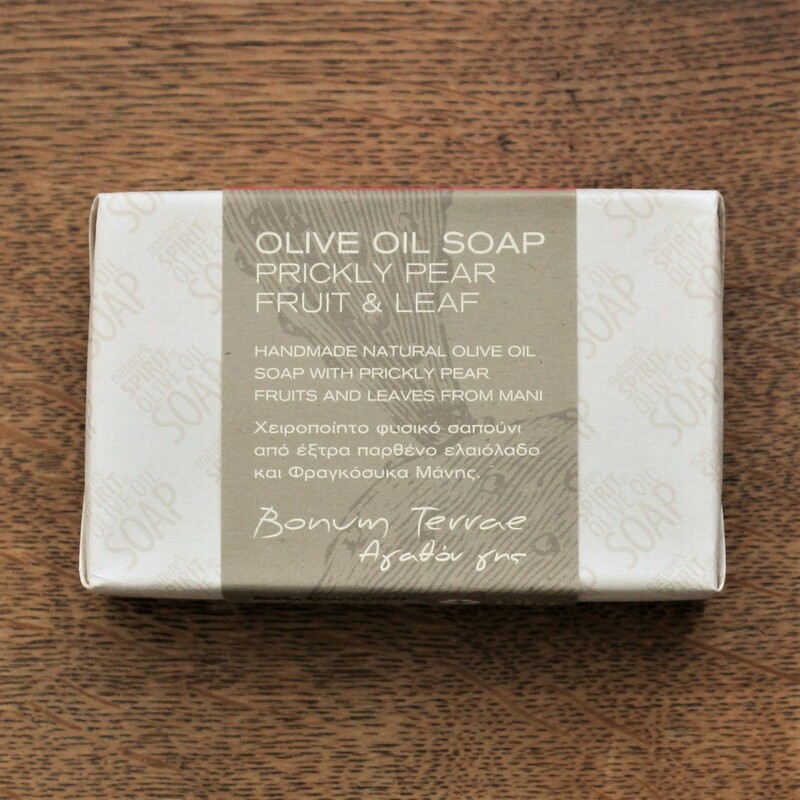 It is difficult to find a handmade vegetable based soap with a really lovely fragrance but we tracked this range down to Greece. 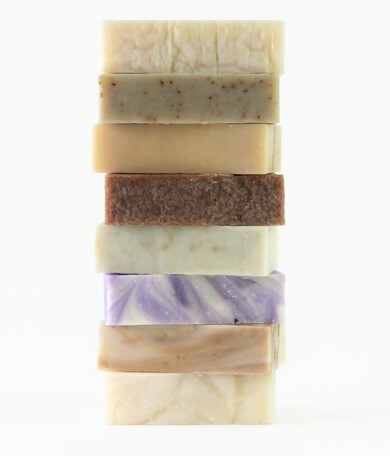 Made in Laconia using cold pressed extra virgin olive oil and glycerine these soaps are very mild on the skin.Their fragrance comes from essential oils of plants typical of the region. They contain no chemicals. 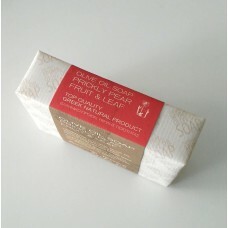 The cactus leaves and juice of the prickly pear give this soap a unique look. 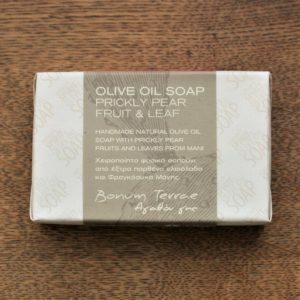 A known anti-oxidant and anti-inflammatory the Barbary Fig is thought to have a positive and rejuvenating effect on the skin. Ingredients: Extra virgin olive oil, prickly pear juice (fruit & leaf), soda (NaOH), coconut oil, palm oil, tussah silk, water from the springs of Taygetos, essential oils of lavender, grapefruit & lemongrass. Dermatologically tested and registered in the European Cosmetic Products Notification Portal (CPNP).